IBM has a strong commitment to Linux as an operating system and Linux-based solutions. 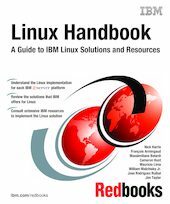 This IBM WhitepaperRedpaper IBM Redbooks publication gives a broad understanding of IBM products and how they relate to the Linux operating system. It tries to encapsulate the IBM Software Solutions that are available for Linux-based servers. It also describes the Linux enablement throughout the IBM Eserver product line. This second edition includes a new chapters on Linux Solutions and IBM Storage in a Linux environment. All the other chapters have been revised to cover new IBM announcements, and the amazing growth in Linux adoption. This book offers enough information to give you a high-level understanding of Linux. Therefore, it is not meant to be a highly technical document. It also provides pointers to further sources of information. This book is intended for IBM representatives, business partners, and customers who are involved in considering and planning Linux-based software solutions. You will find this book particularly helpful if you are planning to test or implement Linux in an enterprise.